Gorgeous Antique Tiffany & Co. old European cut diamond ring. Center diamond is a beautiful old European cut which is 3.83ct, G color, SI1 clarity and is certified by GIA. 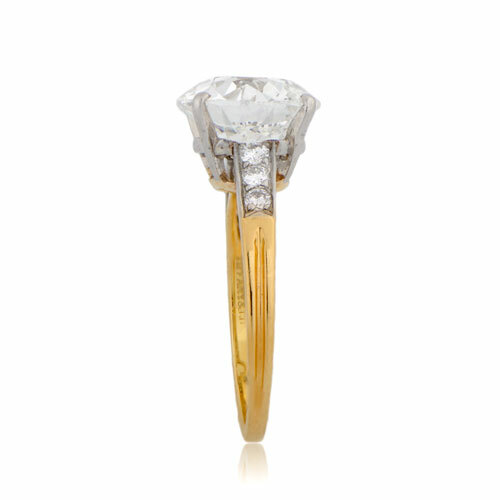 The three small diamonds that enhance the shank are set in platinum-topped 18K gold and the center diamond is set in platinum prongs. 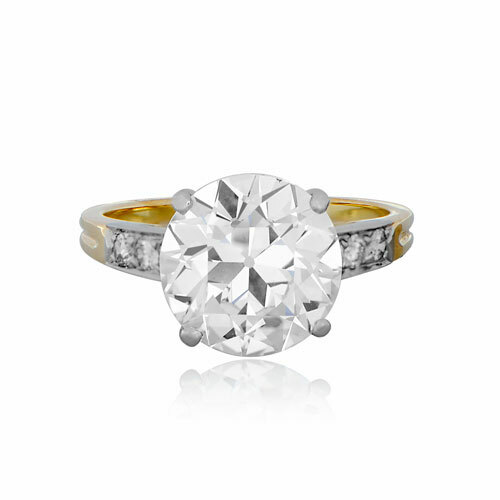 There is so much beauty in the simplicity of this ring and the fire of the diamond. A Stunning Vintage Ring with a magnificent diamond. 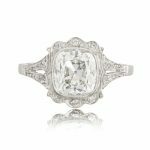 To see our complete collection of rare antique tiffany engagement rings, click here. 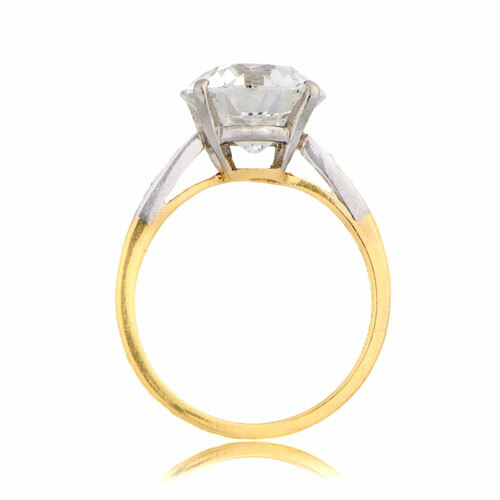 SKU: 10493 Categories: Old European Engagement Rings, Signed Engagement Rings, Sold, Vintage Engagement Rings, Vintage Tiffany Engagement Rings - Contact us and request additional pictures.